We love iPhones as much as you do and have been specializing in iPhone repair since 2007! If you are having problems with your iPhone, whether you’re having issues with the battery, you dropped your iPhone and damaged the screen or are experiencing software complications, our 15+ years of experience at Campus Mobile Solutions will enable us to fix your problem. iPhone XR, iPhone XS, iPhone 8, iPhone 7, iPhone 6S or iPhone SE. We Have You Covered! With our iPhone repair service, you have a wide variety of repair services for the many models the iPhone has. We offer iPhone screen repair, battery replacement, charging port repair, liquid damage, headphone jack repair, camera replacement, button repair, microphone repair, speaker repair, and software repair. The most common problem people experience is with their iPhone screens. So naturally, we do a lot of iPhone screen repairs. There are a lot of different qualities available in replacement screens out in the market. We provide full transparency with the type of parts we have available and their prices. Prices can be higher or lower depending on the quality of said part, this way we make sure you get to choose what best works for you, educating you on the differences of their characteristics and the end resolution. Is your phone freezing or the speaker isn’t working? Maybe your phone is not turning on, or your phone is not charging, there are bugs that make your notes disappear or may cause your touch ID to malfunction. When your phone falls into a body of water and suffers damage, you can count on us to do whatever we can to recover your data and fix your device. We have fast solutions for these common problems. You have the chance to make your phone feel like you just bought it. Going to the official store could really cost you a lot of money. Having the knowledge and experience in the business, we want to give an affordable iPhone repair service, that’s genuinely interested in your comfort and convenience in Urbana Champaign, IL. There’s virtually nothing we can’t repair, we understand these devices inside and out. We repair all the iPhone models. Don’t wait any longer, call us today, we’d love to assist you! Still can't find the iPhone repair you need? 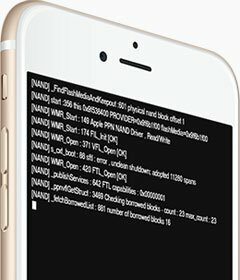 Not seeing your iPhone model in the list? Not sure whats wrong with your iPhone? Please contact us for current pricing and estimations or schedule a time to bring in your iPhone 7 Plus for a repair. Please contact us for current pricing and estimations or schedule a time to bring in your iPhone 8 Plus for a repair. Please contact us for current pricing and estimations or schedule a time to bring in your iPhone 8 for a repair. Please contact us for current pricing and estimations or schedule a time to bring in your iPhone 7 for a repair. Please contact us for current pricing and estimations or schedule a time to bring in your iPhone 6s Plus for a repair. Please contact us for current pricing and estimations or schedule a time to bring in your iPhone 6 Plus for a repair. Please contact us for current pricing and estimations or schedule a time to bring in your iPhone 6 for a repair. Please contact us for current pricing and estimations or schedule a time to bring in your iPhone 6s for a repair. Please contact us for current pricing and estimations or schedule a time to bring in your iPhone 5s for a repair. Please contact us for current pricing and estimations or schedule a time to bring in your iPhone SE for a repair. Please contact us for current pricing and estimations or schedule a time to bring in your iPhone 5c for a repair. Please contact us for current pricing and estimations or schedule a time to bring in your iPhone 5 for a repair.